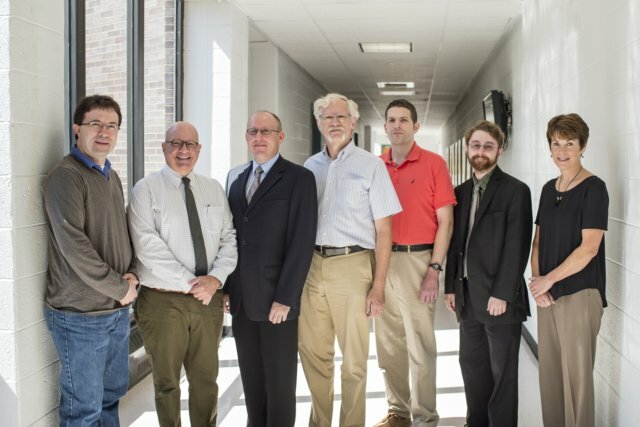 Department of Physics faculty and staff, from left to right: Jesse Goldman, Paul Angiolillo, Piotr Habdas, Douglas Kurtze, Alexander Urban, Brian Forster, Donna Comly. The Department of Physics at Saint Joseph’s University would like to welcome you to our web site. Our Department is a community - of faculty, staff, students and alumni - dedicated to excellence in education in general and excellence in physics education in particular. Physicists study the properties and behavior of matter and energy in a wide variety of contexts, ranging from the sub-microscopic particles from which all ordinary matter is made (particle physics) to the behavior of the Universe as a whole (cosmology). Physics primarily is the science that deals with exploring the rules of nature and the fundamental understanding of nature that comes from the study of physics is central to all the natural sciences, applied sciences and technology, and thus profoundly affects the life of every human along with his or her environment. The Department of Physics at Saint Joseph's has developed a research-oriented culture for both its faculty and students. It is expected that most students will be involved with some sort of research activity over their four-year development in the discipline of physics. The ability to put into practice what is learned in the classroom is paramount to your growth as a young scientist. In the research laboratory, you will learn to ask appropriate questions, design and perform experiments to answer those questions, analyze data using computational methods, and draw appropriate conclusions. Students will also be exposed to the interfaces of physics and biology, and physics and chemistry, exposing them to how the methods of physics are central to addressing key problems in other disciplines. 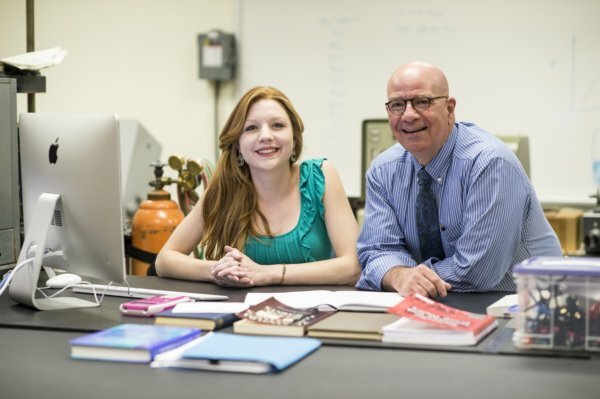 Isabella Goodenough '16 (Chemistry major and Physics minor) and Dr. Paul J. Angiolillo.